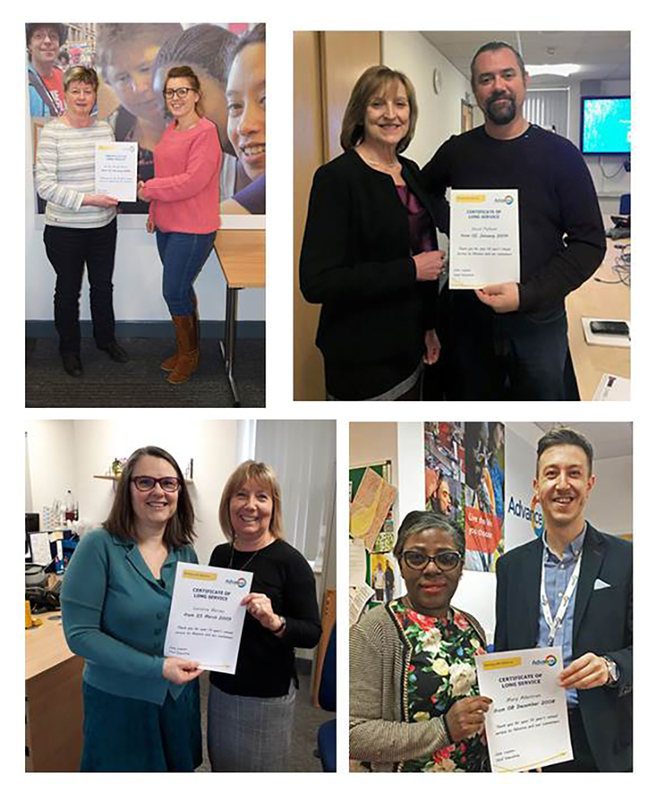 We love to celebrate the achievements of our staff and were delighted to recently recognise several people with their long-service awards. Three members of staff have worked for us for 15 years and two for 10 years. At Advance we work hard to attract and retain the best staff to work with and support our customers and it's a key component of our Strategic Plan. We believe that motivated staff deliver great experiences for our customers and we invest in our staff and their well-being. We emphasise listening and respond to staff views and do all that we can to make Advance a progressive and supportive place to work. We understand that career progression and development is important for our staff. We aim to offer this through our comprehensive on-boarding and training offer, Apprenticeship Scheme, talent management planning and by offering opportunities for career advancement within the company. - I absolutely love my job and the company that I work for. The job itself gives me so much satisfaction and the customers and staff are brilliant! I have progressed so much since starting at Advance and I think it is amazing how staff are given the chance to apply for roles in other areas of the business. Thanks for everything! !